For more than 200 years, the classic NH White Mountain Villages of Jackson, Intervale, Bartlett, Glen and Hart’s Location have held a special attraction for visitors from around the globe The area’s landscape, complete with the Jackson “Honeymoon” covered bridge built in 1876, white steeple churches, high mountains and rolling farmland, has been deemed “sublime” and captured on canvas, and photographed by renown artists and photographers from far and wide. The villages’ grand hotels, comfortable inns and all original restaurants have long been known for hospitality and some of the best food the world had to offer. 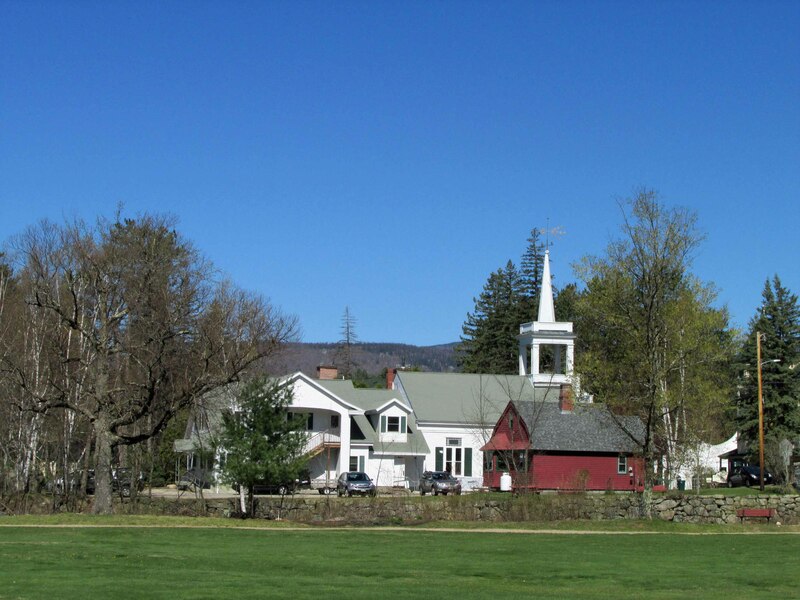 Together these villages located on the edges of 750,000 acres of the White Mountain National Forest offer spectacular natural beauty, and as much four season recreation as you’ll find in all of the northeastern United States. 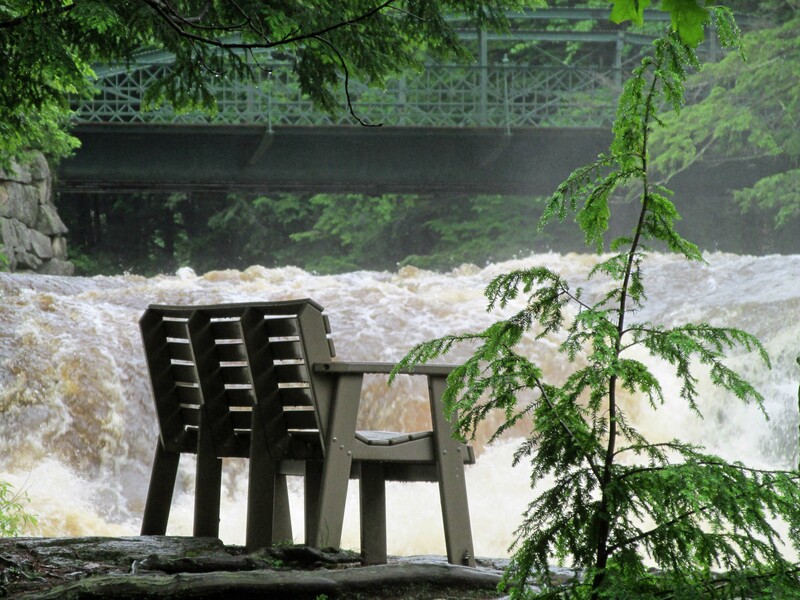 . . from hiking, biking, canoeing, kayaking, fishing, horse back riding and golfing to ice skating, snowshoeing, downhill and cross-country skiing on some of the finest trails in the East and sleigh rides that whisk you away and make you feel as though you have landed in a Currier and Ives landscape. All reasons to visit these villages in any season! Jackson’s history has come alive through the continued efforts of the Jackson Historical Society members and volunteers who are very active in preserving and presenting local history. Visit the Trickey Barn Copula that now rests on the Western side of the Thompson House Eatery where it will remain until such time as the Historical Society resurrects the entire Trickey Barn or visit the Marjorie Trickey March Gallery located along the “Village Loop” at the junction of Route 16 and 16A one half mile north of the covered bridge where history comes alive in their displays and collections. 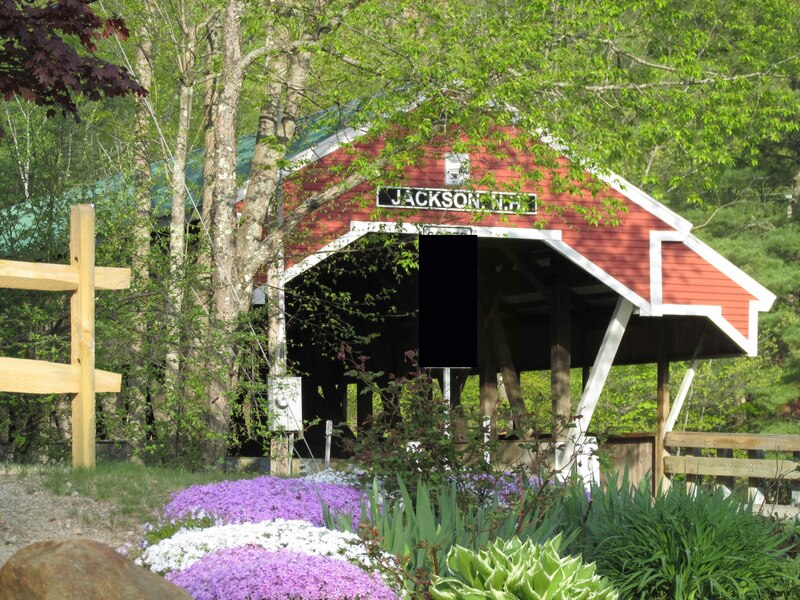 What ever the reason you choose to come… be sure you either walk through or drive though our Jackson Covered Bridge and let the locals guide you to our unforgettable treasures where your memories can be made!